Piano accompanists: 80 € (The participants are allowed to bring their own accompanist). Accommodation: single room in Hotel ( 5 min. by foot to the Academy) - 70 € per night. Each active participant will get two lessons with Pavel Serbin. participants that are accepted will be notifified. Pavel Serbin was born in Moscow. After studies at the Tchaikovsky Conservatory with Dmnitry Miller (cello), he continued his training an the Royal Censervatory in the Hague and at the Luxembourg Conservatry, studying with teacher such as Wieland Kuijken, Michel Rada-Igisch (viola da Gamba), and Jaap ter Linden (Baroque cello). 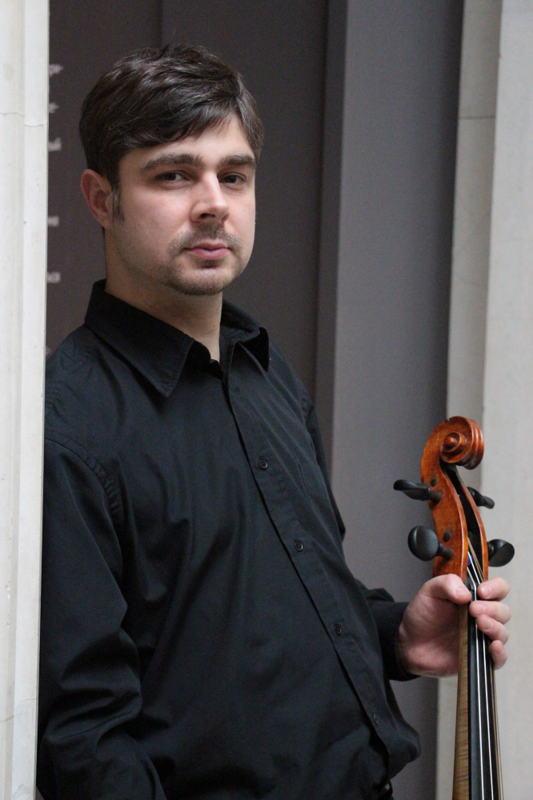 Since 2004 he has been instructor of Baroque cello and chambermusic at the Moscow Conservatory. Pavel Serbin was a prizewinner at various competitions, including the Premo Bonporti Competition (Italy, 2000), Van Wassenaer Concours (Holland, 2000), and the Early Music Competition in Bruges (Belgium, 1999) and he has appeared as gambist and cellist worldwide. Since 2003 he has been artistic director of the Pratum Integrum Orchester, Moscow.